This term is relevant for sites that monetize their traffic by selling paid membership products. A paid wall prevents visitors from accessing certain content or pages if they have not paid for a certain membership level, often prompting them to sign up. This page appears when a visitor is trying to access a page that requires a different level of membership. As is often the case, this example prompts visitors to either log in or sign up for the required membership. When putting up a pay wall, the biggest decision that will be made relates to how much content to allow to be seen by non-members. 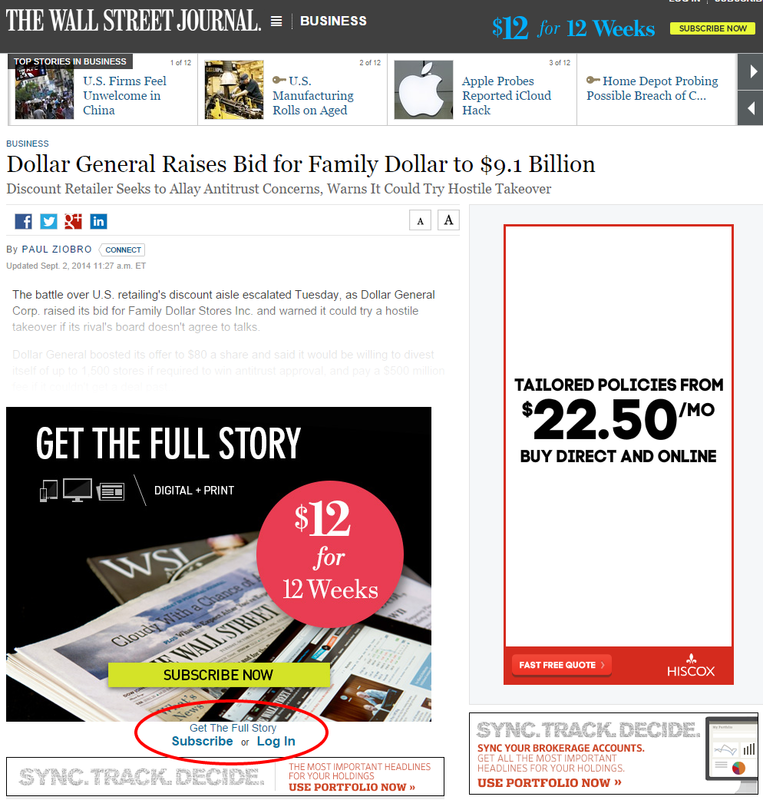 In the example above, WSJ.com allows for only a very small preview; non-members are able only to read the first couple of lines. Some sites will allow for a limited number of whole page views (more on this below) or a larger percentage of the page to be displayed as a “preview” of the membership benefits. Typically some form of compromise will fork best here; a pay wall should allow potential members to see some of the premium content, but not so much that there is no incentive to create a membership. For more on this concept, see our entry on Freemium. In this example, there are two “walls” that a regular visitor will encounter. First, the free wall will require them to register and provide certain information in order to access the first four articles. 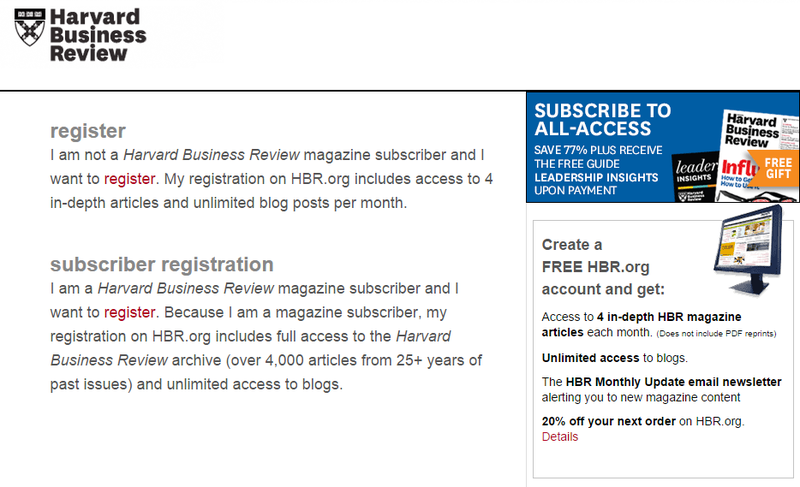 Once HBR.org has determined that a visitor has viewed four articles, they’ll present another pay wall that requires a paid membership to keep reading. There are a number of open source solutions available to manage member information and insert or remove pay walls as appropriate, including aMember.